Yes, Trump’s budget is alarming. But he’s not the one who wields real power. 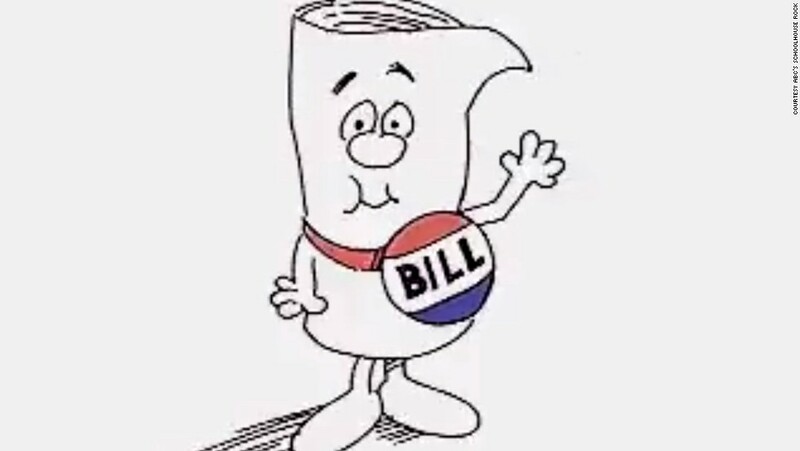 Since the 1970s, Schoolhouse Rock has helped explain how ideas become bills and bills become laws. But governing is a lot more complicated than a sullen scroll sitting on the steps of the Capitol Building. When Donald Trump became the 45th president of the United States, the urgency of the opposition increased exponentially. Every new bill proposed or nomination to be considered is met with a swift, gut-check response. Engaged citizens are told to call their Senators and Representatives, demanding they vote no. This is, undoubtedly, a good thing — but too frequently, the bigger picture gets lost in the immediate outrage. A prime example of this is the federal budget. Too frequently, the bigger picture gets lost in the immediate outrage. The 115th Congress, in less than two months, has provided a crash course on how lawmaking works, but the machinations of government have been poorly explained in the media. Headlines declare Congress has begun repealing Obamacare, with little explanation of how far they have to go to actually accomplish this. Media outlets imply that newly elected Education Secretary Betsy DeVos will immediately dismantle public education, even though little can be done without Congress getting involved. In the wake of Trump’s budget announcement — which suggests deep cuts to the arts, diplomacy, the environment, and social justice efforts, while ramping up defense spending and allocating money for a border wall — this media frenzy has reached a fever pitch. While some outlets have done a commendable job making it clear that this budget is not set in stone, hedging with the use of words like “proposes” and “would,” many others have indicated that the plan is a done deal. There’s a big difference between “would” and the “will” used in headlines like “Advocates Say Trump Budget Will Hurt Country’s Most Vulnerable.” And saying things like “Trump Takes A Gamble In Cutting Programs His Base Relies On” makes it sound like the cuts have already happened. The machinations of government have been poorly explained in the media. But here’s the thing: Budget resolutions are nonbinding, and the President’s budget is just a blueprint. Yes, we should be alarmed — but we must also understand the context. Let’s start from the very beginning, with the first (and admittedly most confusing) step in the budget process. In a normal year, the President sends a budget request to Congress in early February. This kicks off the process of determining how an estimated $3.7 trillion will be spent in the coming fiscal year, which begins on October 1. In Trump’s case, the budget under consideration is for FY ‘18. This budget request outlines the administration’s spending priorities in great detail, with a funding request for every office within federal agencies. The president’s budget also details how much mandatory spending — which includes entitlement programs like Medicare and Social Security and interest on our national debt — is expected, and how much revenue the federal government is anticipated to bring in. Usually, this serves as a blueprint for Congress, with agency officials appearing before the relevant congressional committee to defend the president’s numbers. This is not, however, a normal year. And here is where the confusion — and panic and anxiety — begins. News of Trump’s budget priorities leaked to The Hill the day before inauguration, indicating deep cuts across the federal government, eliminating programs like the National Endowment of the Arts, the Minority Business Development Agency, the Office of Community Oriented Policing Services, the Department of Energy, the Department of Transportation, and the State Department. After The Hill first reported the cuts, dozens of media organizations followed suit. Facebook was inundated with articles spreading the news, with little explanation about how this was only a leaked suggestion of what might happen. With the release of the President’s finalized budget request for FY ’18 on March 16, we have a clearer picture of what’s at stake. And it’s just as bad, if not worse, than expected. The so-called skinny budget does not address mandatory spending or propose tax policy changes, but rather focuses on discretionary spending. It calls for an increase in spending at the Defense Department, up 9%, and the Department of Homeland Security, up 7%, as well as a 6% spending hike at the Department of Veterans Affairs. As for the rest of the federal government? Trump essentially wants it gutted — and not just in terms of across-the-board spending reductions. Instead, the Trump budget proposal outlines specific programs that should be eliminated altogether. Some of the proposed cuts? $200 million from WIC, the program that supports pregnant women, new mothers, and young children; the elimination of the National Endowment of the Arts, the National Endowment of the Humanities, and the Corporation for Public Broadcasting; and gutting efforts like Meals on Wheels for seniors. Trump’s goal is to seem strong and commanding. Trump’s budget is having the desired effect, shifting the conversation away from where he wants to spend taxpayer money — increasing our nuclear arsenal and building a wall on the Mexican border — to where he’s making cuts. The recent calls to action on social media focus on protecting the arts, protecting our planet, and caring for our seniors. Meanwhile, the government is already soliciting border wall proposals and sending “Declaration of Taking” notices to landowners along the border. Also lost amid the coverage is the fact that Trump can’t actually exact these cuts. On the federal budget, it’s Congress that has the power. The U.S. Constitution grants the “power of the purse” to Congress, so while the President submits his requests, it’s up to Congress to actually fund the government. The first step in this process is usually the creation of a budget resolution based on the President’s recommendation, administration officials’ testimony, and Congress’ spending priorities. Like the President’s budget, the budget resolution is nonbinding. The 115th Congress already set off a wave of confusion about this when it voted on January 12 for a budget resolution to repeal and replace Obamacare. The House soon followed, leading to posts on social media claiming that Congress had just repealed key components of the health-care law. This was not true. The budget resolution only declared the intention to repeal the ACA, as part of the current fiscal year’s budget, and instructed the relevant committees to draft legislation to move repeal forward. Because Congress didn’t pass a budget for FY ’17 last year, the government is funded through a continuing resolution through April 28. Whatever comes next will have to take into consideration the Obamacare repeal, if it goes through. But even though the Republican party wishes it were simple, it will take more than a single vote in Congress to repeal the behemoth health-care law. Even so, Congress will tackle a budget resolution again, this time to determine a way forward on the budget for FY ’18. Or they won’t. When a budget resolution isn’t passed, the numbers from previous resolutions, which are required to cover multiple years, are used. The budget resolution determines how much money the Appropriations committees will have to spend. Once the resolution has passed through both chambers and the differences have been resolved in conference, the resolution is agreed upon. It does not go to the president. It is not a law. Once the budget resolution for the next fiscal year is complete — it’s due by April 15, but that deadline is frequently missed — appropriations season begins. The first step is the allocation of funds, dividing up the big chunk of discretionary spending between the 12 appropriation subcommittees in the House and Senate, which are devoted to departments like homeland security, energy and water development, transportation, and defense. This is where the real work begins. Members of the various subcommittees begin the determination of how money is divided up between the various departments within each federal agency. The President’s cabinet secretaries and agency administrators come to the Hill and face a firing squad of questions about why they need money and how they will spend it. Based on that testimony, and with the President’s budget request as a guide, bills are drafted. At long last, the Schoolhouse Rock explanation makes sense again. The appropriation bills are passed in committee, then sent to the floor for a vote. At least, that’s how it’s supposed to go. Remember, this is not a normal year. In a normal year, the President’s budget request is a reasonable allocation of funds across the federal government. But Trump’s budget proposal is decidedly not reasonable, with cuts that lack nuance and defy explanation. Mulvaney has justified cutting Meals on Wheels, for instance, by saying it doesn’t work, despite all evidence to the contrary. The President’s administration will now have to go to the Hill and testify in support of the cuts, even though many of Trump’s own Cabinet secretaries pushed back against the proposal. And given the slow pace of not just confirmations, but nominations by the Trump administration, many departments just don’t have anyone in place to advocate on their behalf. Trump’s budget proposal is decidedly not reasonable. Already, Republicans are panning Trump’s plan. Ultimately, the appropriation bills also need bipartisan support to make it to the President’s desk. Though some bills can make it through the Senate with a simple majority, the budget appropriation bills will have to meet the 60-vote threshold to even come up for debate. Senate Democrats have already pledged to fight these dramatic cuts, shutting down the government if necessary. Senate Republicans will have to create a budget that is palatable to Democrats, which will require some dealmaking. Once the appropriation bills pass through the subcommittees and the full Appropriation committees, Congress decides whether to present the bills separately or to combine them together into an omnibus spending package. The preference is always to pass all 12 bills individually, but more often than not, time gets away from Congress and they turn to an omnibus. The debate and amendment process on the floor frequently slows down efforts to pass the bills, and legislation that was once bipartisan becomes bogged down with partisan issues. The 2016 spending bill to fund energy and water programs, for instance, was sunk over an amendment to protect LGBT federal contractors from discrimination. The Senate and House are also working on the spending bills separately. Even if all 12 bills pass both chambers, the differences need to be reconciled in conference. The final bills will have to pass bipartisan muster to get majority approval in the House, with possible defections from the left and right, and past the 60-vote filibuster threshold in the Senate. Finally, after all the spending bills have worked their way through the process, they can be sent to the President to sign or veto. And therein lies the President’s sole binding role in the process. If the budget is passed before the September 30 deadline, the federal government will remain funded and continue to do the work of governing. Again, the process outlined above is how it’s all supposed to work. But frequently, things change. In fact, Congress has needed to pass at least one continuing resolution — an extension of the previous budget’s spending allocations or across-the-board spending reductions — every year since 1997 to keep the government open. Sometimes the CR is meant to give Congress a bit more time to finish the appropriations process and avoid a government shutdown. Other times, a CR is necessary when both sides of the aisle can’t come to an agreement. In 2016, Congress passed a CR for FY ’17 in order to give the incoming Trump administration input on the spending bills. The current CR ends on April 28, and the appropriation committees will have to figure out a solution for the current fiscal year before working on the next. Writing the budget is a long, messy process, but it is the essential function of Congress. While this is the basic rundown of how it all plays out, much of the work happens behind the scenes in back rooms and private offices, where deals are struck. While this all shakes out, we must be diligent to not get distracted by splashy headlines, and to understand the nuances of the process. We should absolutely be concerned about the federal hiring freeze and the shrinking of our bureaucracy. We should worry that the administration has been slow to nominate and appoint people for sub-Cabinet positions, leaving offices without leadership and direction. And we should be alarmed by the cruelty of a proposal that aims to hurt our environment, the arts, and America’s most vulnerable citizens. Writing the budget is a long, messy process. But we should also remember that while there will be cuts, they likely won’t be as deep as the Trump administration would like. Every elected official knows that their constituents rely on government services and government funding to keep them healthy, fed, and safe. It’s the federal government that plans for pandemics and protects us against global threats. It makes sure Social Security checks get sent on time and Medicare continues to care for our seniors. It brings the arts to communities outside the big cities and helps fund research for new cures. It makes sense to be panicking about what Trump has proposed. But the best way to thwart devastation is to call your representatives in Congress. Tell them to support the programs that may be on the chopping block, and to speak out against the wall. Now is the time for constituents to hold their representatives accountable. Congress will, after all, have to answer for the decisions they make. And an engaged citizenry is one that remembers.